This article was last updated on the April 28, 2018. 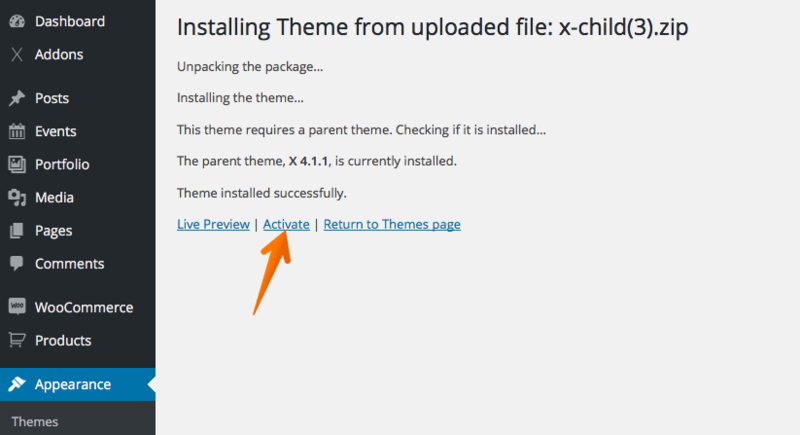 Setting up a child theme actually takes a little bit of work as you need to create a new directory for the child theme, specify the parent theme so WordPress knows where to apply the new changes, enqueue the parent theme's main CSS file, et cetera. You might also want to set up a functions.php file for various pieces of functionality that you want to add or modify. Fortunately, we've done all the heavy lifting for you in this area and all you need to do is use our provided child theme, which requires none of the setup listed above. We provide a ready-made child theme for you to use. Download it here. You'll see there are two child themes, one which is for Pro and one which is for X, make sure you download the correct child theme for your product. 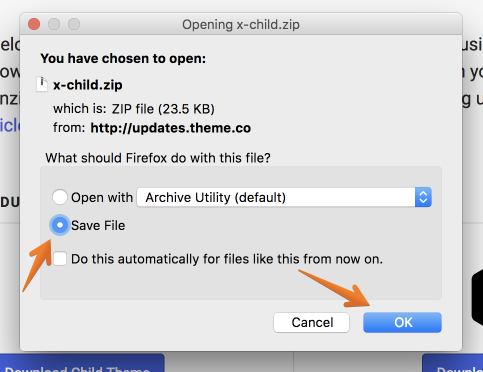 We want to save it, so we can upload the compressed zip later to our WordPress site, so go ahead and check saved and then click "ok"
Note: Exactly how the prompt shows will depend on your computers operating system, but it should be self-explanatory. Congrats! You've now successfully downloaded, installed and activated your child theme, you can now safely make edits without fear of losing your modifications on a parent theme update. How do I edit the entry meta that's displayed? Where in X can I reduce the number of different image sizes generated when uploading? H2 Tags in Carousel - Affecting On-Page SEO? Need to add a shortcode to all pages and posts, help! How to remove text strings on category pages? How to remove auto generated text strings? How to edit the product pages? How to add a TripAdvisor button to the footer? Blog post meta, clickable author link? How to add code before body <tag>? Themeco Pro Woocommerce product categories in breadcrumbs? H1 tags for Blog Post titles reported as H2? Add php snippet under Post Title; divide up post meta? How do I hide the featured image from being pinned on Pinterest? How do I remove the revolution slider query strings? Having trouble trying to add script in the header.php file - I need to include script for a live chat function but keep getting error message! Remove demo content after site complete? Why have the icons changed after the latest update? How do I display the Title on Blog Post and Category Pages? Is it possible to load content/sections dynamically? How to put the TAG List inside the output Post? Woocommerce product tabs - global block? Why is it so difficult to add Google Analytics? How can I change CSS for RENEW? How to change the design of the portfolio? Why Is An Embedded Form Not Displaying on Mobile? How to add crypto widget to pages & posts? Change carousel hover text without changing code? How Can I Put a Header Image on a Single Product Page? How to use pro builder to edit post? Where to place meta tag in child x-theme for Norton Safe Web? Allow comments on specific pages? Where to embed HubSpot code? Customizing post category pages n X Theme? Adding Last Updated Date to posts in Theme X? Best way to add content block to all blog posts? CSS Code for x.blockquote Cite? How to add code within the <body> element of my website? How to hide category from posts? How to create a archive page of a specific author? How do I incorporate Pro into my Wordpress Website? [Error] Can't activate purchased version of Essential Grid! Limit navbar search to woocommerce? Do I ever need to update the Pro child theme? I need help to paste google tag manager code "additionally, paste this code immediately after the opening <body> tag:" can someone help me to do this? How do I find the header where I can paste my Adsense code? Pro Featured image being resized? How to save the customization on the theme? How to fill the empty space on the left and right side of the logo? Where can I change this info to dutch text? What would updating X do to my website? Where do you put the code for a mailchimp pop up? How to remove query strings from fonts? Style.css not being pulled into child theme? 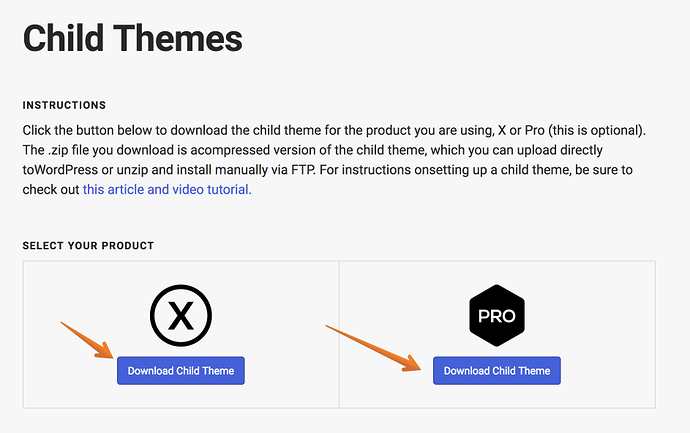 How to import production X site into x-child theme? Did not unclude </html> tag! What is that? My site got un-verified and now it wants an API key, help! Can I use normal hyperlink in Table of Contents Shortcode? Ethos X Child theme style.css line. Keep or remove? Child version of search results in Pro? If I publish my child theme will my site go live? Google Maps saying something went wrong! Anyway to show image caption on featured image of posts? Pro / Renew > where do i find _brand.php? Add no follow links in to buttonss? How do I change the "Comment" label in the single page post comment section in CSS? Where i can find Function code of Logo? How to add Adwords Conversion Code to one page? How do I know if I have custom modifications? Is there a way to hide the tag archives? How Can I Amend the Default 404 Page? Where to find Pro Theme? No Full screen support for video? How do I remove the date from every blog post? How can I put a ConvertPlus info bar (subscribe form) right below my navbar? How do I delete category om post slider and change date format to d.m.y (Ethos)? How to remove post title hyperlink? How do I remove the sitewide H1 title tags and replace with H2 tags? Text under logo disappeared after updating X theme, how do you get it back? Creating Default Post Templates by Category? Does A Manual PRO Update Break/Overwrite CSS in the Customizer? How to add Elements to WooCommerce Shop with PRO? Is it possible to add a ticker tape or plugin below the Navbar? How do I install a child theme? Suggestion: Why not bundle the child theme with the theme package? Style . css changes don't take effect? Php code for header Position possible in the Custom Css? WPML - How to keep the language when clicking on logo to go back to homepage? How to prevent default Woocommerce overwriting by X? How to remove the coupon field on the cart page? How to insert code into footer of blog posts? How do I add Previous/Next Post on Blog Posts in Icon Stack? How to remove the URL field in the comments field? How to keep sidebar showing on tablet? Where to install Drip code snippet? How to remove or hide woocommerce product placeholder image? How to add picture/thumbnail in the portfolio index right sidebar? How can I add a script to my header in my child theme? How to change submit button text in wp comments? How to edit wording of Archive Past Posts widget? How to remove from my blog post? How to Display Category Metadata in Icon Stack? Is there a way to display a particular post with recent posts? Header Logo left, Menu center, right Social Media alignment possible? Where to find XCS file? How can I make a Child theme that's a direct copy of what I have built currently?